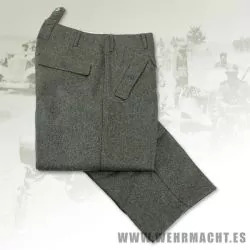 Feldbluse M36 for Generals of Waffen SS, made with feldgrau gabardine fabric and five front buttons. 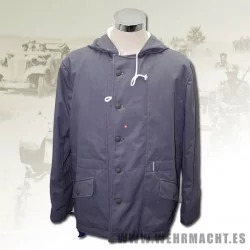 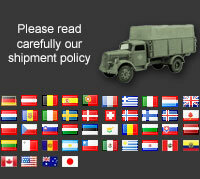 Collar tabs, shoulder boards and arm eagle included. 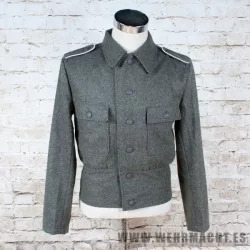 Tunic for Generals of the Waffen SS, made with feldgrau gabardine fabric, the collar is dark green and closed with two brackets, four pockets with central reinforcement, five front buttons, French cuffs, the lining completely covers inside the jacket.